Fermented red rice 红糟 is the rice residual from making rice cooking wine. 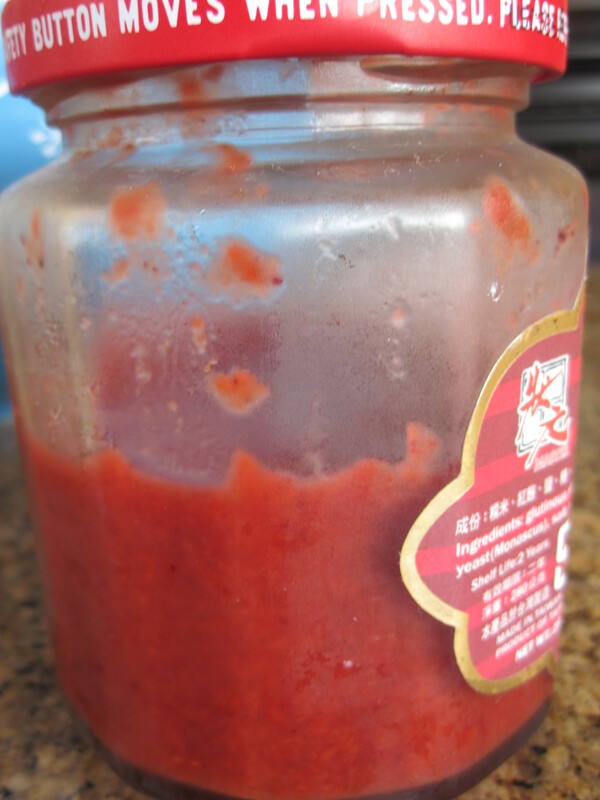 It gets its red color during fermentation process and thus it is a natural coloring. Fermented red rice is a very nourish food ingredient. 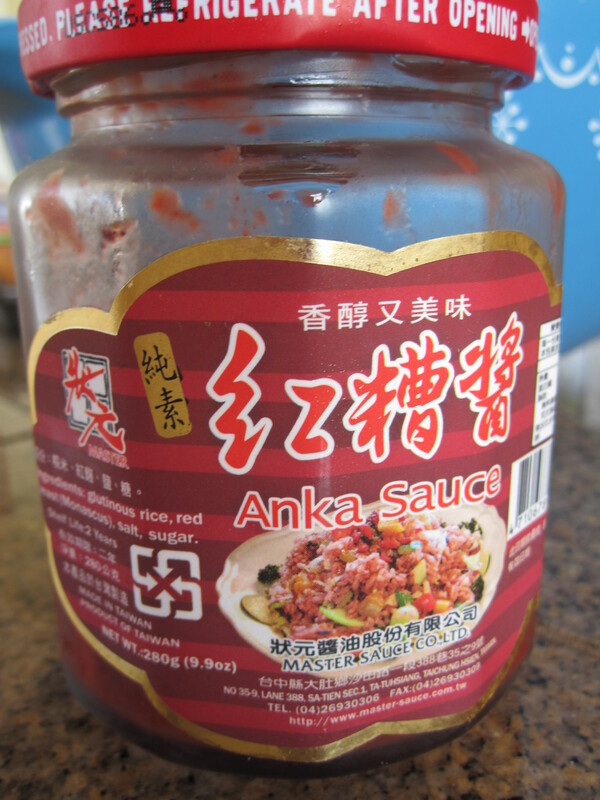 It is even used for cooking for Chinese women’s confinement diet after giving birth. Clean pork chops. Use the back of a knife pound the meat several times on both sides. Mix well all ingredients for the marinade. Add pork chop and coat each piece well. Marinate in the fridge overnight. 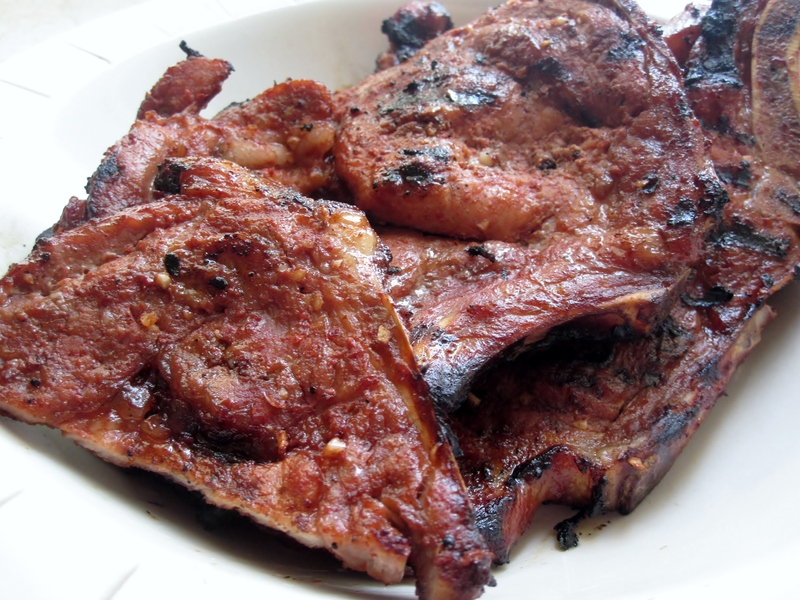 Grill pork chop, or pan fry until the meat is cook through.